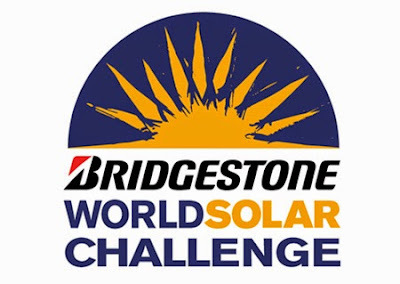 The Bridgestone brand will again act as title sponsor of this year’s World Solar Challenge – which will be known, as you’ve already probably guessed, as the Bridgestone World Solar Challenge 2015. 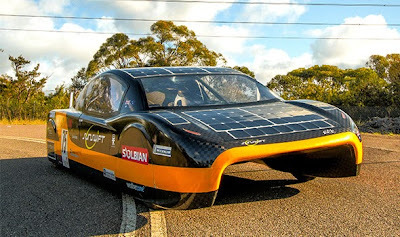 The event will take place in Australia between 18 and 25 October and is the 13th World Solar Challenge since 1987. Bridgestone intends to use the World Solar Challenge as a platform for promoting its ‘Ecopia with ologic’ technology, and the company says it will also engage in associated environmental initiatives and programmes that support young engineers participating in the event. The last World Solar Challenge in 2013 attracted 38 teams, including many university students, from 22 countries. The participants competed in a 3,000 kilometre (1,184 mile) cross-country race using only solar energy to power the vehicles. The competition features three separate classes – Adventure Class, Cruiser Class and Challenger Class – which will compete for the title of the world’s most efficient solar car.